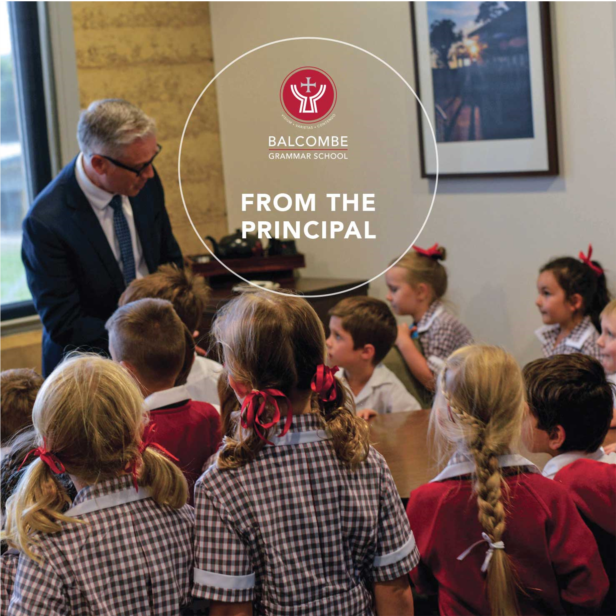 In addition to welcoming the BGS community back to another wonderful year of learning together, I want to extend a particularly warm welcome to new families and students who are joining us this year. One of the highlights of the first week of every school year is a visit to my office by the Foundation students and staff. The joy and enthusiasm these students exude is inspiring. In visiting classrooms this week, I’ve also been particularly impressed with the ability of our students and staff to begin productive work on day one. Our well-established transition program in the final weeks of each year clearly has a positive impact on students’ readiness to start meaningful work on the first day of the school year. The positive atmosphere across the school is palpable and I congratulate everyone for their efforts in ensuring that all students feel safe, supported and encouraged to extend themselves once again this year. Congratulations to the Class of 2017 on their outstanding achievements in their VCE studies. 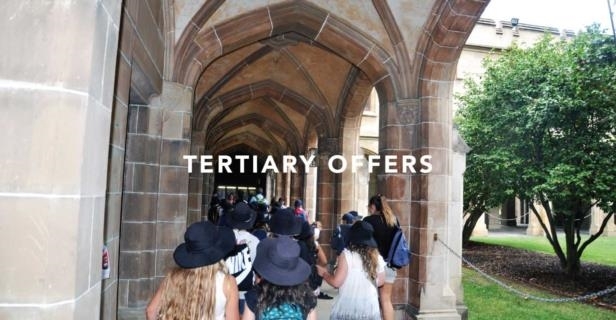 The students’ commitment was rewarded by the number of first round offers received. The quality and diversity of their offers also reflect their broad goals and their determination to work toward them. In addition to their excellent performance in the VCE, we also take this opportunity to congratulate students who took up vocational and workplace pathways. We celebrate the character of all of our students; the fine young people that they have become. We wish them all the best for the future and look forward to hearing of their adventures beyond Balcombe Grammar School. The Class of 2017 set a very high standard with many students ATARs placing them amongst the highest percentile state-wide. Students achieved impressive outcomes across many disciplines, from Maths and Science to The Arts. Brooke Simmonds was accepted into the Melbourne University - Victorian College of the Arts - Bachelor of Fine Arts. This is a highly competitive program and we congratulate Brooke on her outstanding success. 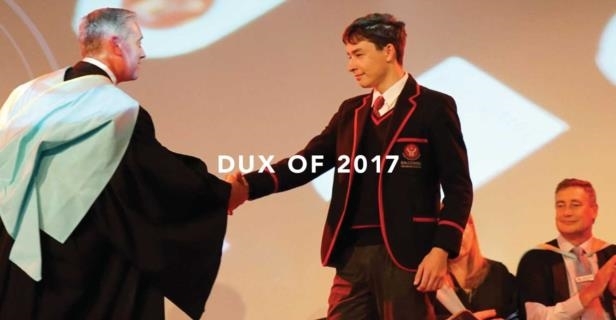 Samantha Hastings was invited to attend a Top Acts audition, part of the VCE Season of Excellence program. Top Acts is curated by an artistic director who carefully selects works from across the 11 Top Class concerts. We wish Sam the best of luck for her upcoming performance. 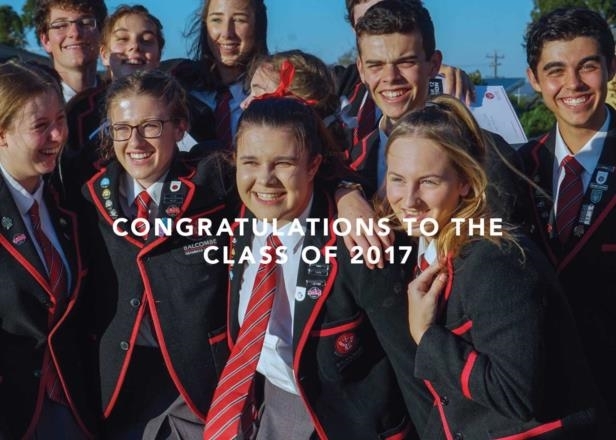 In line with our commitment to inclusivity, the success of the Class of 2017 was shared throughout the entire cohort who enjoyed a 100% successful completion of their VCE. We are delighted that the construction of our new centre for Senior Students is underway. The centre will provide an impressive environment to support our Senior students’ learning. The current J block building will also become the home of innovative learning for our Year 8 & 9 students in 2019. 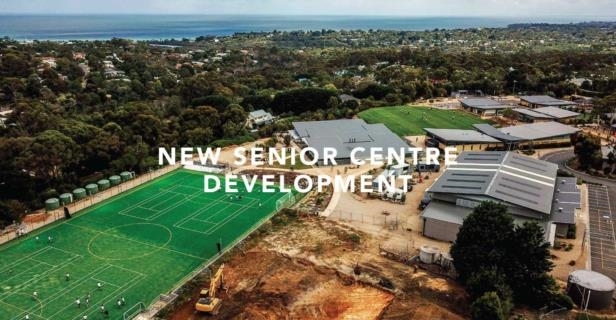 In addition to the sports field opened in 2017, this latest project leaves no doubt that the students, staff and families of BGS can enjoy first class facilities for many years to come. We look forward to updating you on the progress of the project throughout the year.